Fluke Process Instruments is proud to introduce the SpotScan accessory. 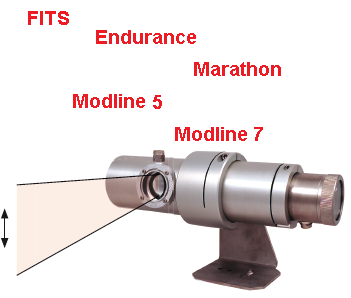 This accessory is used with Endurance™, Marathon, and Modline™ 5 and Modline 7 Series sensors. 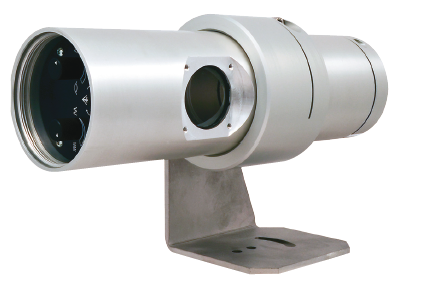 When mounted to the front of the sensor, the accessory allows the user to gather temperature information over a larger area on the target due to the scanning mechanism inside the accessory. Get more process temperature information! With SpotScan, you can continue to use the supreme sensor optics to achieve small spot sizes on your target, but with the scanning capability, you can have the spot sweep over the target to see a larger area, providing more data and information for your process. By using the sensor peak picker capabilities, you can see a hot spot over a larger area. Additionally it is important to continuously monitor the analog output for temperature variations that exceed defined limits. With the SpotScan accessory, you still use the analog temperature output that comes from sensor. By using the various signal conditioning sensor features, you can obtain temperature information over the area you are scanning in a variety of different ways. For instance, if you use the peak picker function, you can look for hot spots over a larger area. Similarly, if you use the averaging or response time function, you can obtain average temperatures over a larger area. In any case, the SpotScan accessory allows you to look at a larger area providing more data to understand your process better. The SpotScan accessory provides an innovative way to allow you to sight the instrument or periodically check sighting. Onboard SpotScan accessory controls allow you to manipulate the end or center positions of the scan, as well as the frequency of the scan. If you have a sensor equipped with a laser, you can simply turn the laser on to see exactly where the sensor is aimed. If you have a sensor equipped with only through-the-lens sighting, you can stop the scanning at the end points to make aiming adjustments in this area.